The National Personnel Records Center (NPRC) has improved the system of requesting documents by adding the option of requesting information online. The NPRC provides copies of documents from military personnel records to authorized requesters. The Web-based application will provide better service by eliminating the mail processing time. Also, the online process should minimize delays due to incomplete information because all the essential information is requested online. Records also may be obtained by writing to the National Personnel Records Center, Military Personnel Records, 9700 Page Ave., St. Louis, MO 63132-5100, or by faxing (314) 801-9195. The Center will respond in writing by U.S. mail. 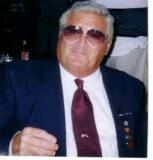 Any retirees desiring information regarding Combat Related Special Compensation can click onto "http://crlegislation.com" This link will provide all the information one would would need including obtaining applications and daily updates. Also. Anyone desiring information regarding disability compensation may click onto "Title 38 us code" From there you can find out anything you wish to know about your benefits, Of interest to some of you :Title 38 Part II Chapter II Subchapter VI Sect 1159. This provides compensation protection........Lock onto the link-check it out.....learn what you are entitled to. Special Contributor Kathy Peterson of Telesis Co. says the company tries to help families by bringing in a consulting firm to explain the veterans benefit to residents at its senior-living properties, such as Signature Pointe on the Lake in Dallas. More and more seniors are discovering a little-known veterans benefit that helps pay for longterm care. "They're going crazy over it," said Harold Haynes, a Dallas County service officer who helps veterans and spouses apply for the assistance. "My workload has doubled in the last year." The benefit is gaining notice because it eases a big financial burden for disabled older adults. Seniors who can no longer fend for themselves are moving into assisted-living communities or hiring in-home caregivers, but they often must bear the cost themselves. Neither Medicare nor Medicaid typically covers it. "Unless you've had the foresight to buy long-term care insurance, the expense can wipe out your retirement savings in a relatively short time," said Bill Clark, president of Clark Financial Group Inc. in Frisco. A private room at an assisted-living community averages $2,968 a month, 17.6 percent more than two years ago, according to the MetLife Mature Market Institute. In-home care averages $17 an hour. This is where the federal veterans benefit comes to the rescue of some seniors. Called the "aid-and-attendance" pension benefit, it pays up to $1,470 a month to a qualifying veteran, $945 a month to a surviving spouse, or $1,743 a month to a couple to defray the expense of long-term care. "When I tell seniors and their families about this, their jaws usually drop, and they shout, 'Hot dang,' " said Molly Shomer, a geriatric-care manager in Dallas and author of Insider's Guide to Assisted Living. • Have served in wartime, though they didn't have to see combat. • Have no more than $80,000 in assets, not counting the family home, car and personal possessions. • Prove financial need, usually by demonstrating expenses exceed their income. • Show they need someone to help them with basic activities of living, such as bathing, grooming or eating. • $1,470 to a veteran. • $945 to a surviving spouse. • $1,743 to a couple. To qualify, veterans must have served in wartime, show a financial need and prove they can't live by themselves. Even if a veteran has died, a surviving spouse who hasn't remarried can still apply for the benefit. The aid-and-attendance benefit dates back decades, but advocates for older adults have taken note of it and begun to promote it only in the last couple of years to help seniors cope with high long-term care costs. Betty Gellert of Dallas learned about the veterans benefit early this year when she was looking for an assisted-living community for her 83-year-old mother, Byrdeen Goldsmith, who suffers from Alzheimer's disease. The Monticello West retirement community in Dallas suggested that her mother apply, and it helped the family gather the necessary documents and complete the forms. Ms. Gellert's late father served in World War II. Mrs. Goldsmith now collects a $915 monthly benefit, which covers a quarter of her assisted-living costs. "It's been a godsend," Ms. Gellert said. "We're passing the word to others with parents who are veterans." For Frances Louanna Wade, who was in the Women's Army Corps during World War II, the $1,470 pension benefit allowed her to remain at the Dallas assisted-living community until she died last spring at 88. "Thanks to the pension, we were able to stretch her resources, and we didn't have to think about moving her into a Medicaid bed at a nursing home," said her daughter, Alanna Karel of Dallas. Betty Gellert learned about the veterans benefit early this year when she was looking for an assisted-living community for her 83-year-old mother, Byrdeen Goldsmith. Monticello West marketing director Gail Penry said she routinely asks prospective residents whether they're wartime veterans or spouses, so she can identify who might qualify for the federal entitlement. "They fought for this country," she said. "They have a right to this money." At-home care Frail seniors who require help with such basic activities as bathing, dressing, preparing meals and taking their medication are also using the veterans benefit to hire caregivers to come to their homes. "We're publicizing the benefit," said Jo Lambert, who owns three Comfort Keepers in-home care franchises in the Dallas-Fort Worth area. "Many seniors who are eligible for the help still don't know about it." Ms. Lambert said that less than 5 percent of her clients collect the benefit, but that she expects many more to apply when boomers who served during the Vietnam War begin requiring longterm care. The number of Vietnam-era veterans 65 and older is projected to increase sixfold, to 5.2 million, over the next decade, according to the Congressional Research Service of the Library of Congress. Mr. Clark, the retirement planner, said seniors have three good reasons to sign up for the veterans pension benefit. First, they don't have to exhaust their assets, as they must do before getting help from Medicaid with nursing home costs, he said. A veteran may have up to $80,000, and a home, car and personal possessions aren't counted. Next, veterans can transfer assets, typically to their children, to reduce their net worth and qualify for the pension benefit, Mr. Clark said. Anyone applying for Medicaid faces strict limits on asset transfers. Finally, applicants usually can prove a financial need by showing their expenses exceed their income. That's a modest standard for people facing tens of thousands of dollars in long-term care costs each year, he said. The biggest drawback to the benefit, according to seniors and their families, is the application process. "The government requires many documents, including military discharge papers and a physician's written evaluation, and you've got to do everything exactly as requested," said Michael Abcarian of Dallas. Mr. Abcarian recently applied for help for his 81-year-old mother, Raisa Abcarian. His late father was a World War II veteran. "I was lucky that my father was a meticulous record keeper," he said. "Otherwise, it could have gotten complicated." 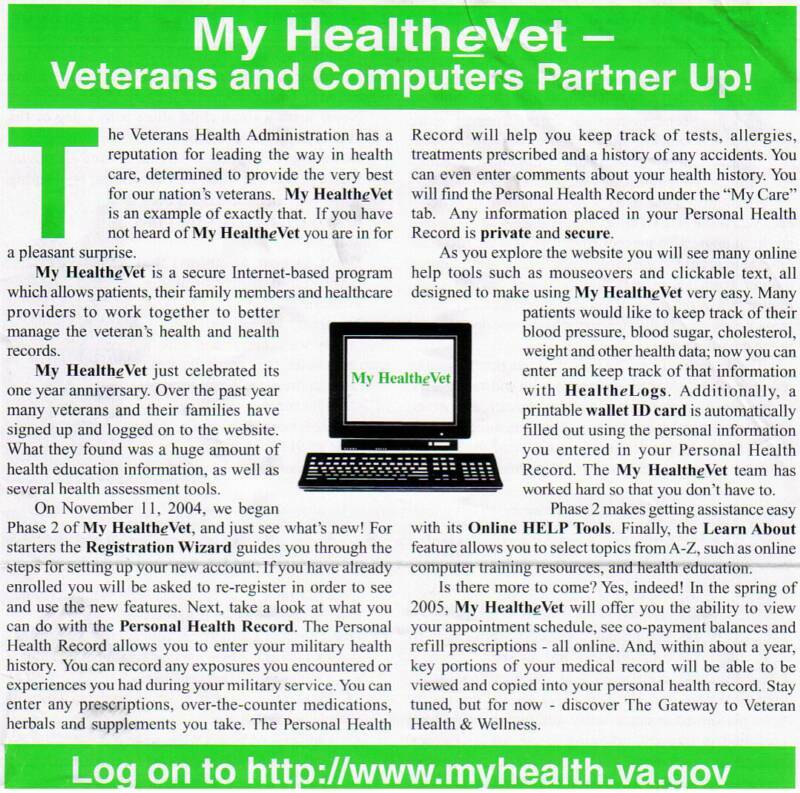 Applications generally take four to six months for the Department of Veterans Affairs to process, assuming a senior has submitted all the required forms and answered all the questions. John Cook, a Collin County veterans service officer, said some seniors are denied the aid-andattendance assistance because they haven't shown they need help with activities such as bathing, dressing and fixing meals. "The physician's evaluation must confirm they can't live by themselves," he said. Once a pension benefit is approved, though, it's retroactive to when the senior applied. Many veterans and spouses turn to their county's veterans service office, the Texas Veterans Commission or a veterans service organization such as the Veterans of Foreign Wars for help with the paperwork. Dallas-based Telesis Co., which owns and operates eight senior-living properties in North Texas, hires a consulting firm to explain the benefit to residents and guide them through the process. "We try to make things easier for our families," special projects coordinator Kathy Peterson said. Still, the pension benefit for non-service-related disabilities remains underused, long-term care experts say. "We joke that it's a deep, dark military secret," Ms. Shomer said. As many as 2 million people may be missing out on the benefit, according to a 2004 study prepared for Veterans Affairs. Only one in four eligible veterans, and one in seven surviving spouses, are collecting a check, it said. "When people hear about veterans benefits, they usually think of veterans hospitals treating service-related injuries," Ms. Shomer said. "Many don't realize the benefits extend far beyond that." The geriatric-care manager expects that misconception to fade, as more families learn about the pension benefit from caregivers. "When the word spreads, the VA will be swamped," she said.